The purpose of Texas Association for Crime Stoppers, Inc. is to promote and encourage Crime Stoppers programs in Texas by providing development support and guidance to reduce criminal activity. Texas Association for Crime Stoppers, Inc. is an advocate for Texas Crime Stoppers programs. 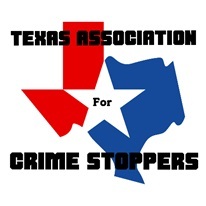 Signup for updates from Texas Association for Crime Stoppers.